In Baccarat, the court cards King, Queen, Jack and Ten are all valued as zero. An Ace is valued as one, while all the other cards correspond to their numerical face values. Thus the point count of a hand can be a single digit number ranging from 0 to 9, depending on the total value of the cards in your hand. Nine (9) would be the highest count, eight (8) the second highest count and the list continues in descending order. The object of the game is to bet on the hand that you think will have the highest total value. 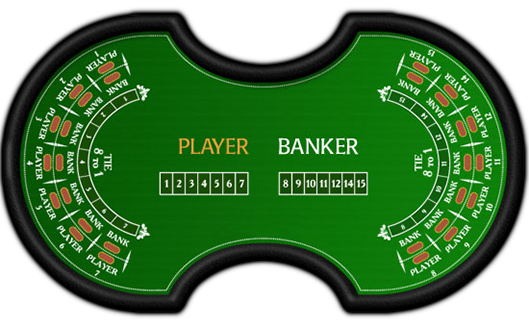 The hand (a Player hand or a Banker hand), which has the highest points, is the winner. Winning bets on banker or player are paid 1:1. Tie bets are paid 8:1 or 9:1, depending on the casino.